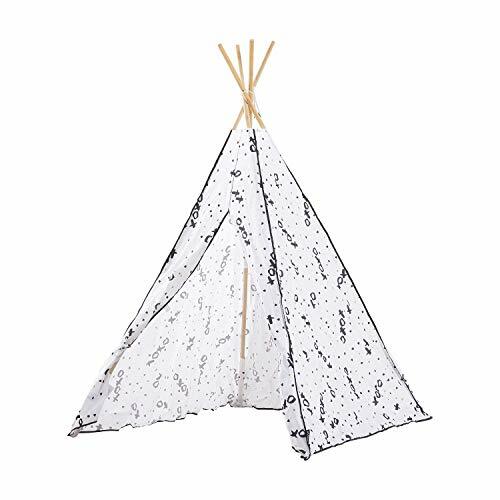 The Regatta Bell Tent might just be what you are looking for when you search for the perfect camping companion. The best thing about the tent is its superior features that would make you feel right at home, but without dimming the excitement of adventure. The Regatta Bell tent has undergone many modern updates which allows it to offer luxurious qualities, it’s made from premium Double Fill “Army Duck Canvas” using weightless WR (Water + Mildew) Treatment and maintaining the natural breathability of 100% Cotton using our proprietary brand of Canvas DYNAGUARD ! Using a Silicone based chemical allows us to achieve much higher Water Repellency as opposed to the traditional Wax Treatment which adds extra weight and inconsistent water repellency. All our fabrics are tested by an independent Lab and benchmarked on every production run to insure consistency of critical factors such as; Hydro-static Pressure Head Test, Mildew Soil Burial Test, Tensile & Tear Strength, Color Fastness to Sunlight. All of our test is conducted ASTM Standard relevant methods applicable. The thoughtful design offers circular floor plan of 10ft, 13ft & 16ft. At the same time, it is simple enough to be set up by one person only. 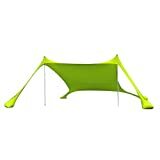 The design has a functional detachable zippered heavy-duty Vinyl ground sheet. Allowing you to create a waterproof environment on a rainy day. 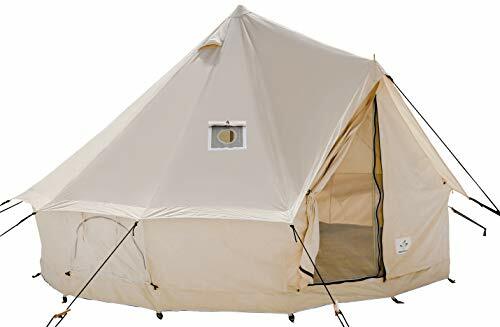 However on a hot day the ground sheet can be completely detached for additional ventilation and keeping a 360 degree view and a closer connection to nature. 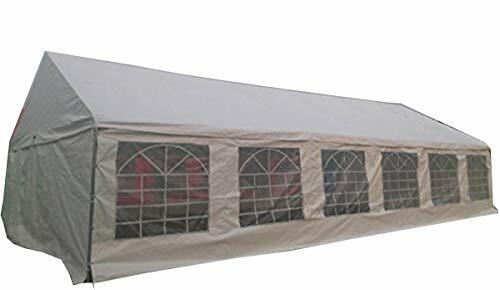 Big enough to comfortably Sleep up to 6-8 people, the tent is your best choice if you want to create a beautiful exotic stay area with hanging decorations and even roof décor. All windows have a Poly vinyl mesh to keep mosquitoes out. STANDARD FEATURES: Detachable 16 oz. high density PVC groundsheet. Vinyl Fire Retardant Material with a flap. Standard Bug Mesh Door and four Windows feature heavy duty trouble-free military grade YKK zippers for maximum functionality. All 1/4″ Polyester UV resistant Dura ropes are pre-attached with triangular metal rope tension adjusters and elastic cords. 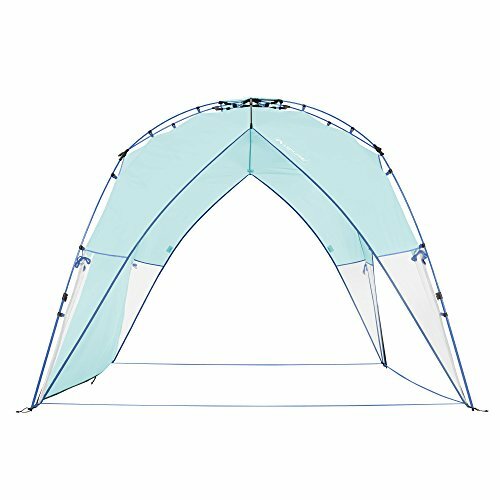 4 SEASON TENT: The generous spacious design has Standard Wall height of 2’7″ which makes the tent extremely comfortable as space can be utilized from all angles. 16 oz. 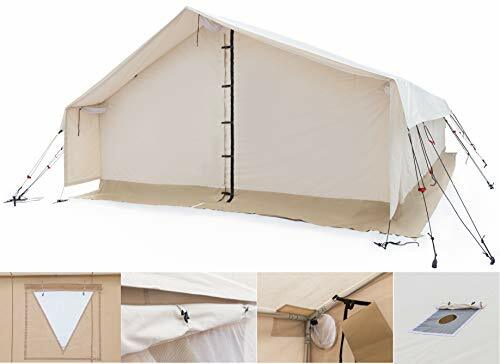 poly-vinyl coated high density detachable groundsheet with toggle hook system which can be removed and wall can be rolled up to allow maximum ventilation and cool breeze. Groundsheet at door have hook & eye system to make it flat for movement. FEATURES: Extremely generous door height for easy movement, Standard Bug No-See-Um Mesh Entrance Door made from high quality PVC Dipped UV Resistant Mesh to enjoy the view yet stay protected. Extremely functional Tension cord on the door entrance and rain flap to keep water out. Three large strategic roof vents with No-See-Um Mesh & hood to ensure maximum ventilation. Standard Bug Mesh Door and Three Windows. There are three windows with heavy duty vinyl No-See-Um mesh to keep mosquitoes out and canvas flap. Two utility pockets to keep your personal belongings. All the seams are double stitched, corners are reinforced for added strength. The tent is packed in 100% polyester waterproof bag with carry strap. 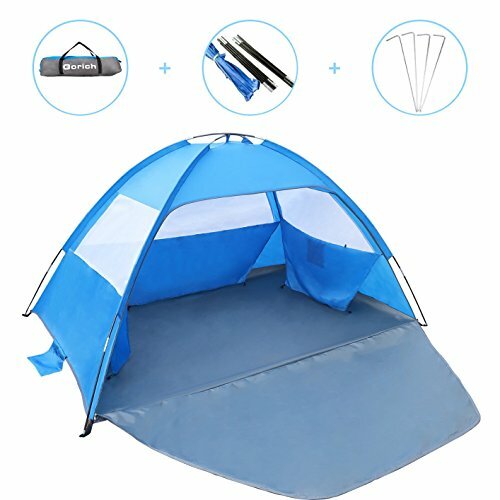 SET-UP: The tent can be pitched by one person. The construction of the tent with is based on a Standing Steel Galvanized Pole of 18 Gauge Thickness with 1.5 mm diameter in the center and galvanized entrance steel pole which gives ample space to create a beautiful exotic stay area with hanging decorations and even roof décor. 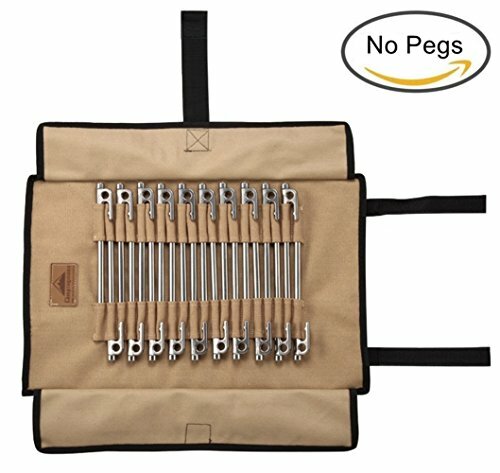 The tent includes J pins for groundsheet pin points which make tent mounting procedure easy & give clean surface and J Pegs for secondary and main guy points.